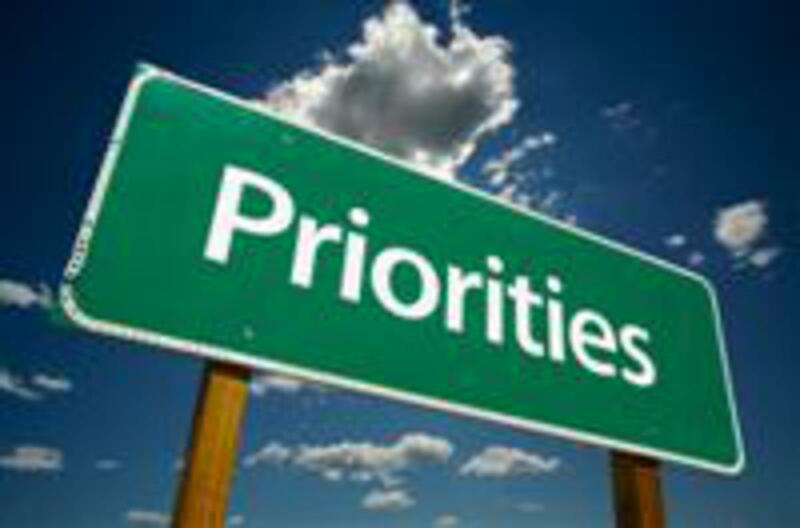 Arranging our personal life’s priorities correctly is important because we often have to choose one over the other. Arranging them and attending to them properly is not always an easy thing but if we are truly led by the Spirit of God, He will always help us with our choices. Many of our members have heard me say throughout the years that my priorities are: God first, family second, and church (ministry) third. Nevertheless, by what I’ve seen and heard, I suspect that some of them have misunderstood and have subsequently misapplied the premise. Sometimes they think they are choosing their family over church, when it’s really God they are putting in second place. At other times they choose family over church when it really isn’t necessary because they could have been included together. Before I committed my life to Christ, I was committed from Monday to Saturday to the Little League baseball team I was coaching. I spent every afternoon and evening at the practice field and at the baseball park. Unlike other managers, however, my wife and children were with me every night at the baseball field, and although concession stand food was our staple every night, we survived. Can you see that it was not one over the other but both together? Even though I wasn’t saved back then, I thank God for giving me the wisdom to realize that my obligation to my team was not greater than the one to my wife and family, and for the common sense to bring them together. Forty years later, our family is still close knit. Please remember that, after God, no relationship is more important than family. A very successful business man was having an argument with his wife one morning before he left for work. He left her crying and complaining that his job was more important than their marriage as he walked out the door. While in his car, he thought about it for a moment, walked back into the house and called his office to cancel all his day’s appointments. Wise choice! He realized that losing his wife was worse than losing his job. Although choosing our priorities on a daily basis requires prayer, meditation, and common sense, permit me to offer up a few tips. First and foremost, lets not forget that we must involve God in every decision as we choose our day’s priorities. Proverbs 3:6 advises us to “Acknowledge Him in all our ways, and He will make our paths straight.” Secondly, beginning with God , lets keep in mind, to whom we have committed and obligated ourselves, who is more important to our lives, and who needs and depends on us the most. In the end, our life’s priorities will be pretty obvious to those who know us and will say a lot about us. Lets choose wisely.